An amazing transformation has happened; SHEDs skeletal structure has been covered in a continually insulated skin, and is PINK! 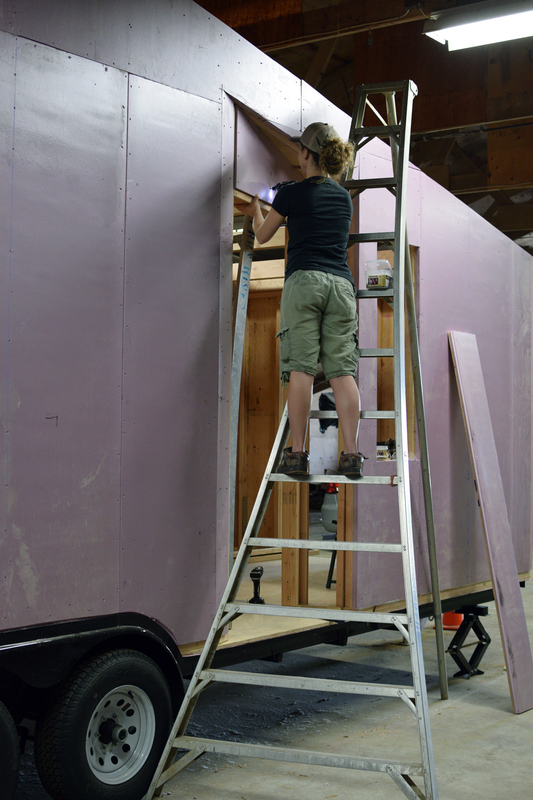 Our DIY tongue and groove C.I.Panels went up fairly easily and have been permanently bonded to our structure using construction glue and 2” screws every 6-8” inches. The increase in rigidity is encouraging and the ability to better experience our designed home as a volume of space has been rewarding. 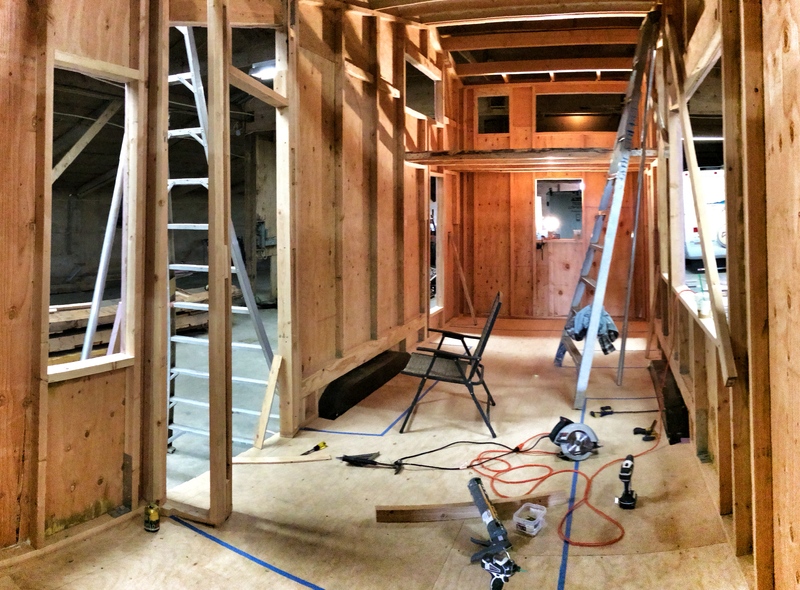 In addition to that, we have a loft! Our custom laminated veneer lumber beams are proudly and strongly holding up our ¾” birch plywood loft floor and the beams and underside of the finished faced birch ply have been coated with a satin finish urethane and will be exposed to the kitchen below. 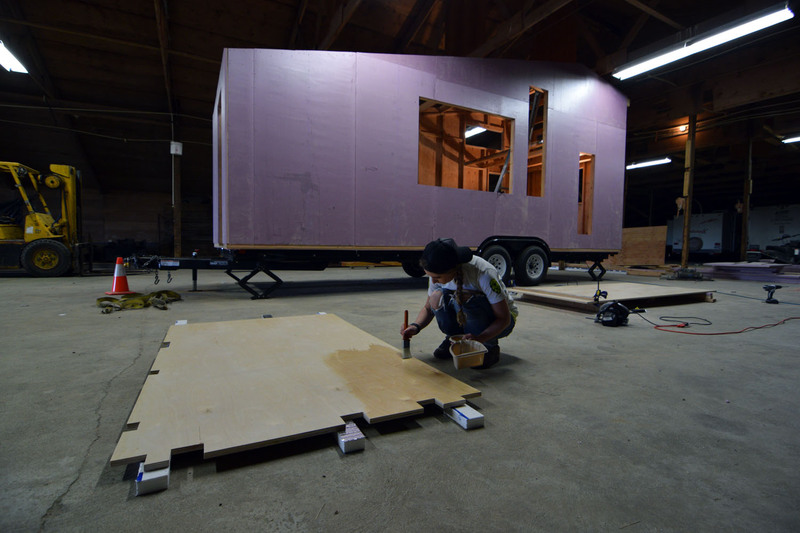 Or original plan to save weight, money and thickness by using a ½” birch ply loft floor backfired when we set it up on the beams and experienced a ½ to ¾” deflection (under our weight) between beams that couldn’t be ignored. Not only is the ¾” loft floor far stronger but we notched out where the vertical studs were in the walls to allow the ply floor to extend into the wall cavity 1.5” and be glued and screwed to blocking around the perimeter to increased its strength as a horizontal diaphragm as well as eliminate any deflection that may have occurred between the beams near the unsupported plywood edges. Trying to use our temporary ladder to get into the loft makes me feel old and thankful we will have stairs. 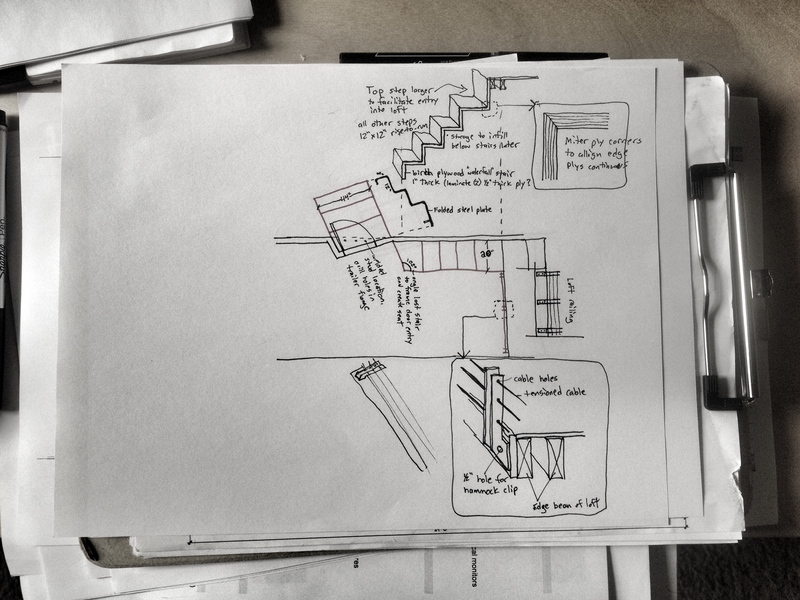 A 12” tall loft “railing” that will incorporate 3 tensioned cables spanning 3 custom fabricated blackened steel brackets. 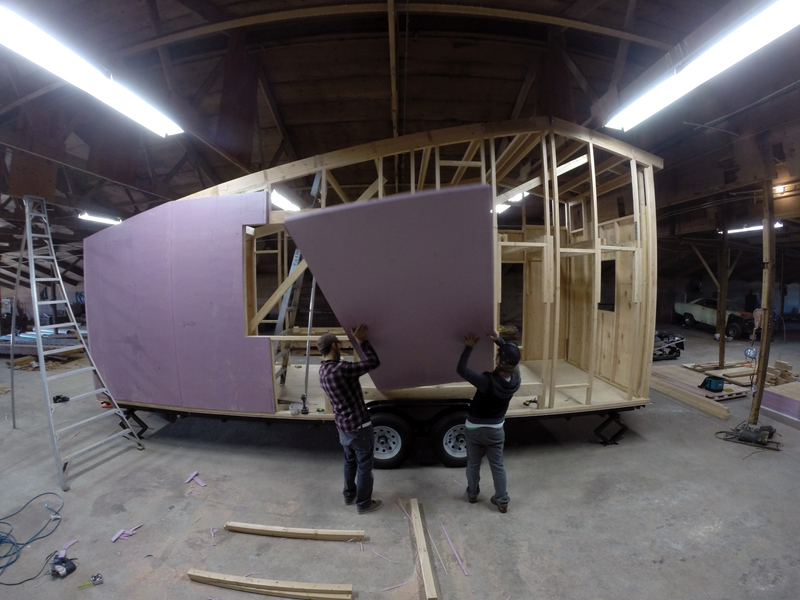 We will be sure to put an extra hole towards the bottom of the brackets to accept a clip connection to our hammock that will be able to span from loft to wall in our main space. A 1” thick by 20” wide birch plywood waterfall stair. 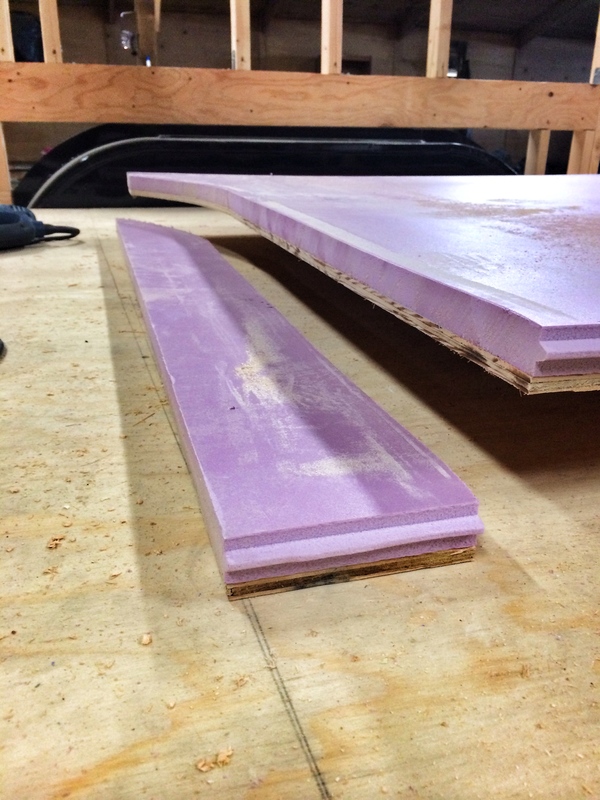 The method of exposing the edge condition of cabinet grade plywood and mitering the corners so the edge ply grain appears continuous is something I have incorporated in some personally built furniture and I anticipate a beautiful result in a continuous plane stair application. 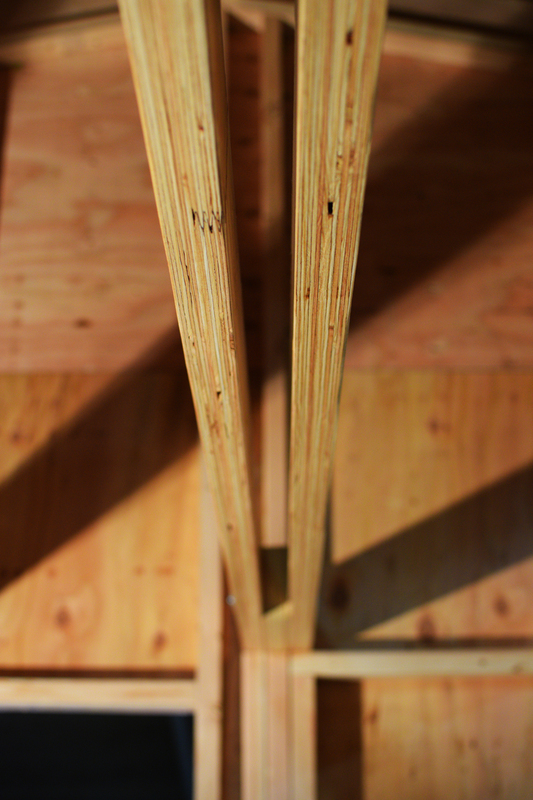 A ¼” folded plate stair entry. This project was a great example of how one persons initial wants can be happily evolved through brainstorming exercises with others, in this case with the design eye of Nate from Atlas and Cedar. 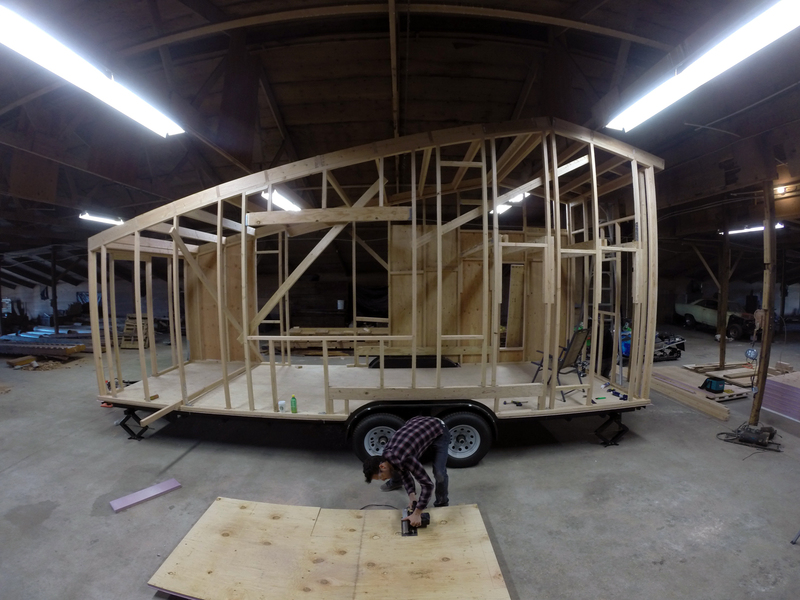 We plan to have a stair that is the full width (44”) of our newly framed door indent and protruding from the front door with 3 steps that will be literally folded out of a plate of steel. 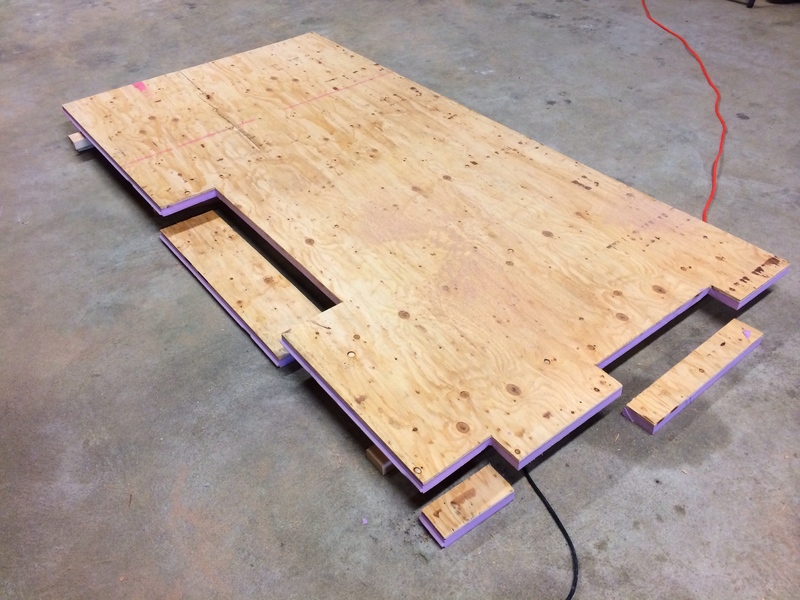 The steps can be lifted by two people and are set in place and bolted through the trailer flange when stationary and can be placed in the bed of a truck or even inside the house during transportation. This may seem like an odd strategy for a tiny house but what really struck me about this stair detail, beyond my aesthetic interest in the minimalist side profile of folded steel was the small hint of permanence they will provide. I anticipate that interacting with these steps each day will provide a subconscious sense of place, in essence providing a foundation to a project that tends to be the antitheses of just that. 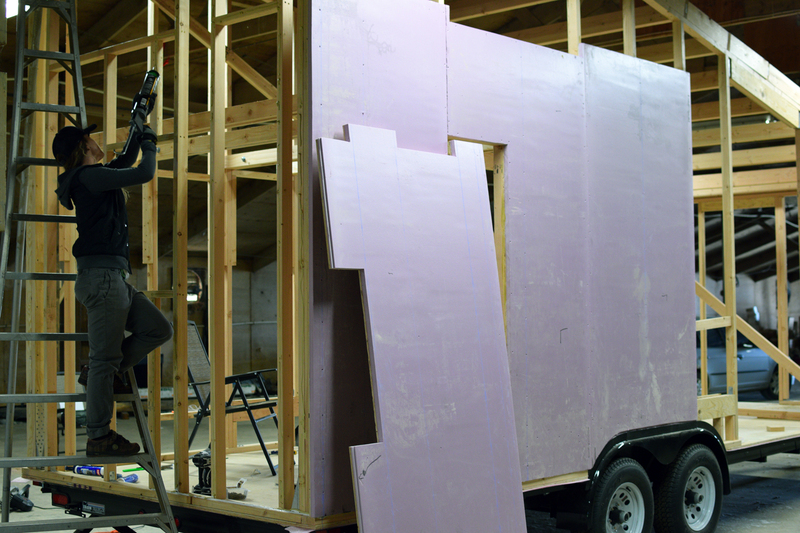 “Window frames” – We will be cutting away 1.5 inches of foam surrounding each window and glueing a wood 1×2 frame around the opening in order to provide a proper nailing surface for the flange of our new windows. 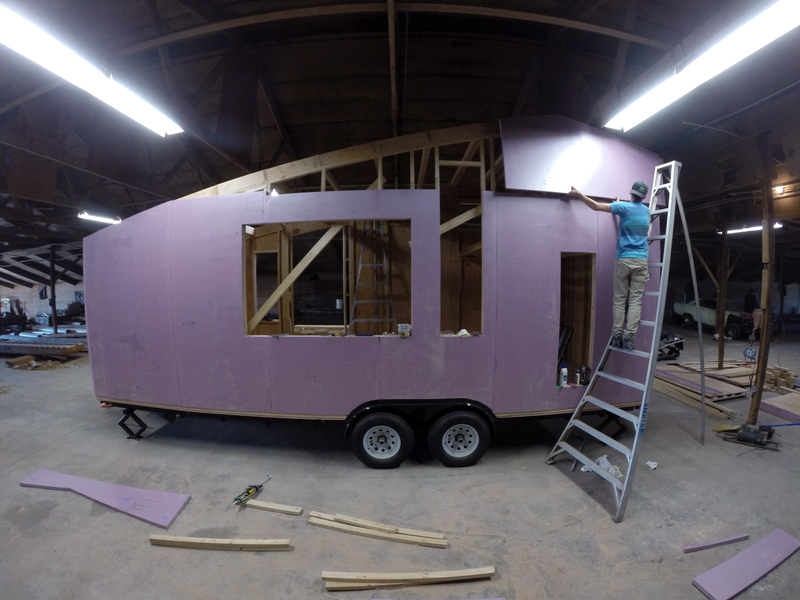 Building Wrap: We will be taping all of our seams between our sheathing panels and then wrapping the house in a building wrap that is TBD. Windows: And then we can finally install our windows that have patiently been sitting in storage for nearly 3 months now! 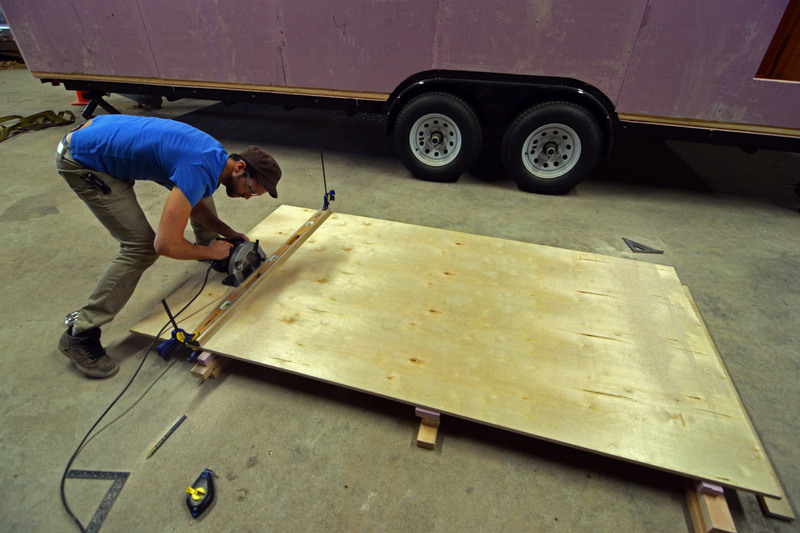 We will also be installing our two exterior doors during this stage provided that they arrive on time. BUT, It will be two weeks before we return to the project site as I am scheduled to take what hopefully is my last Architectural Registration Exam on the west side of the cascade mountains this weekend and then we will continue on and explore the Olympic Peninsula for a few days. 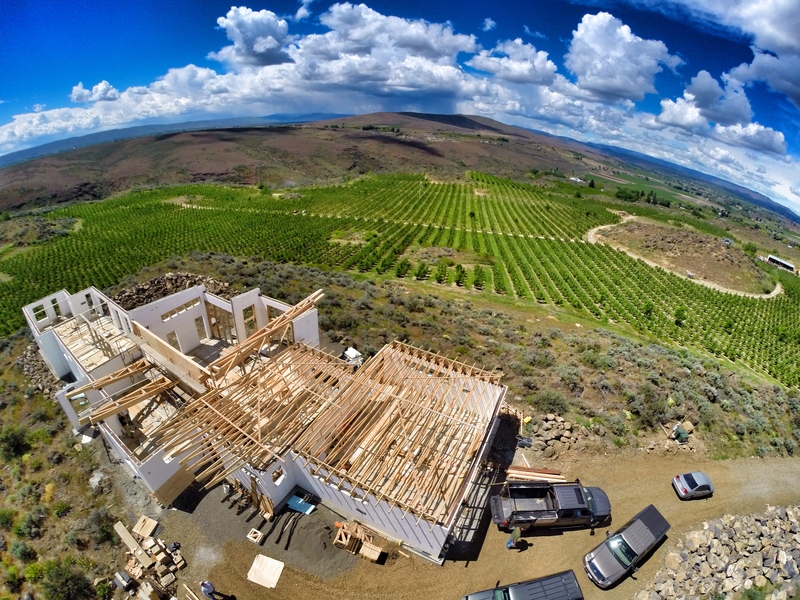 I will leave you all with a picture taken by our drone last week of a unique and beautifully situated Insulated Concrete Form home that we (Traditional Designs Inc.) designed and is currently under construction in Naches Heights, WA. Looking good and coming along nicely!